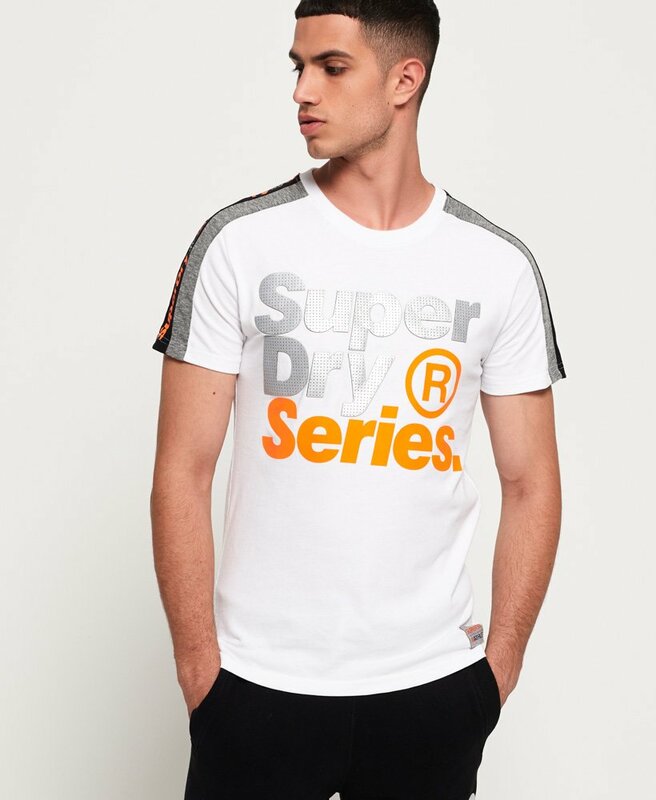 Superdry men’s Series t-shirt. Update your t-shirt collection this season with the Series t-shirt. Featuring a crew neck, textured Superdry logo graphic on the chest and stripe panelling on the sleeves, this t-shirt will look great with jeans and your favourite hoodie. The Series t-shirt is completed with a Superdry Athletic badge above the hem.